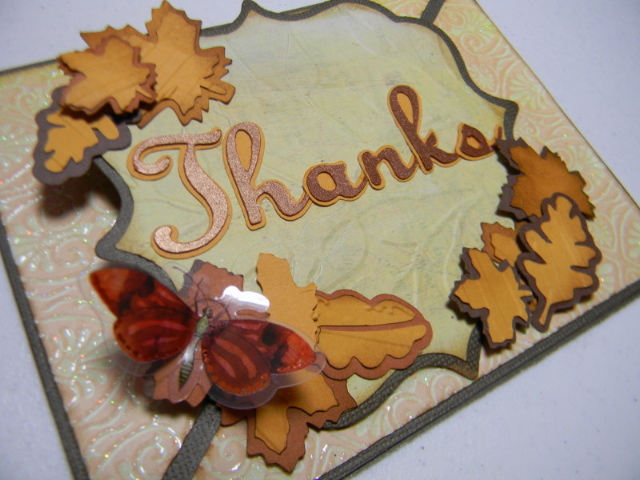 Hi there, After a few days of illness, and a lot of hectic life stuff, I'm back. 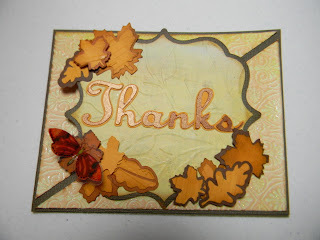 I decided to enter the Paper Cuts Challenge # 115 to : "Make a card, LO or craft project for Fall using LOTS of leaves and any colors you'd like, EXCEPT NO GREEN or BLUE!" I love fall colors and leaves, so I decided it should be easy enough. Well, I really wanted to use green, but I'm glad I had to use other colors, because I was happy with the result. So, off it'll go in the mail. 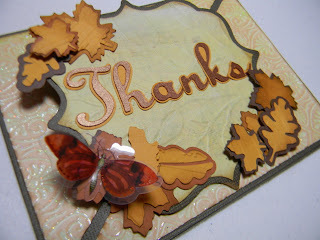 Tutorial for this card by Beate Jones on Splitcoast Stampers. 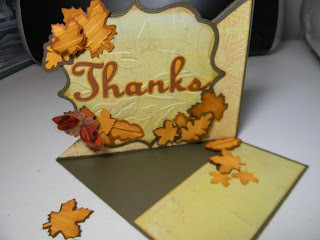 Very pretty easel card, love the cut!